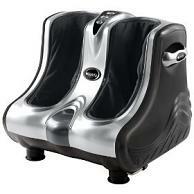 Limited time sale on Emson’s U-Comfy Leg, Foot, Calf, and Ankle Massager (Squeeze and Vibration). List price of 298-299$, but the sale price has it 33% off at 199$. Feel the vibration and kneading all over your feet and legs. There are six speed + intensity settings along with the fact it is portable at just over 15 pounds. This Emson deal will not last so don’t wait for it to go back up in price.